Everyone is an artist. This statement has been proved right by Erarta and the participants of the annual large-scale event of shared creativity “Showcase yourself at Erarta”. On the 27th of September all the paintings in the Museum will be changed to drawing paper and all visitors will be given a brush and paint so everyone can get creative! Over last two years the event was visited by over 6000 people and about 1500 artworks were created. Each author had a choice of either taking their painting with them or donate it for a charity auction in favour of House of Veterans №1. 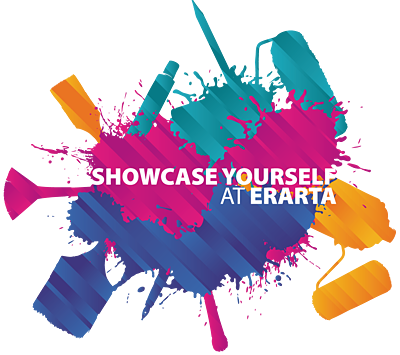 “Showcase yourself at Erarta” is famous for its bursting creative energy, special programmes for families, silent discos, film screenings, performances and many more interesting things for visitors of all ages. All this makes the event the most-loved festivity in Saint Petersburg which brings together people from different backgrounds and different tastes in an unprecedented art-adventure. Free entry. Please refer to our website or vk.com event for more information.